Mark Hegsted, who headed the USDA’s now-defunct Center for Human Nutrition in the Carter Administration, died in June at the age of 95. He was one great guy. Before USDA, he was on the faculty of the Harvard School of Public Health, where he was famous for studies on how different types of fats affected blood cholesterol levels (the Hegsted equation) and on the epidemiology of calcium and osteoporosis. These, counter-intuitively, showed that populations with the highest intakes of calcium and dairy products had the highest rates of osteoporosis. At USDA, he dealt with now historical documents in nutrition history: the 1977 Dietary Goals for the United States and the 1980 Dietary Guidelines. When President Reagan came into office in 1980, he was immediately fired from his director’s position and relegated to an office in USDA”s version of Siberia. The New York Times published an obituary, and Harvard University sent out a press release. My Dad, David Mark Hegsted, passed away on Tuesday, June 16, 2009 in Westwood, MA, after a brief illness. He was 95. For those of you who did not know him, he was born in Rexburg, Idaho in 1914, studied at the University of Idaho and received his Doctorate in Biochemistry from the University of Wisconsin at Madison. He was one of the first two Professors of Nutrition appointed in 1942 at the Harvard School of Public Health and had a long and distinguished career there. He authored dozens of scientific papers, traveled all over the world and received many awards from colleagues in his field. During the Carter administration he headed the U.S. government’s newly created Center for Human Nutrition in Washington, DC and published the first “Dietary Guidelines for Americans”. More importantly, he was a good and gracious man who will be remembered fondly by all who knew him. In his later years he especially enjoyed playing bridge and working in his garden at Fox Hill and was a faithful follower of the Boston Red Sox. He is survived by my family in the Yukon, and his granddaughter Camilla Franck and great-granddaughter Sarah Hespe of New York City. My mother, Maxine, and my sister, Christina, predeceased him. It was great for both of us that I could be with him so much during this last phase of his life. Please take a moment to remember this special man. About five years ago, I went to visit Mark Hegsted in his retirement home outside Boston. I brought along a tape recorder. Here is the transcript of our interview. Henry Blackburn at the University of Minnesota has been collecting historical documents about the history of heart disease prevention. 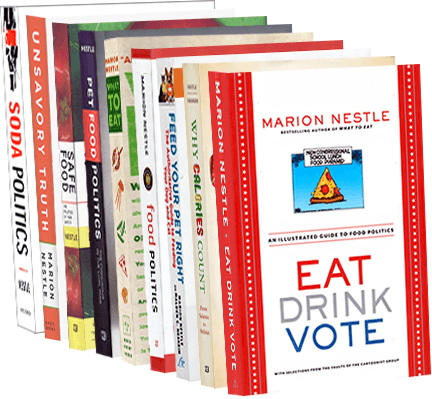 This includes Mark Hegsted’s personal account of the history of the Dietary Guidelines for Americans. For anyone interested in the history of nutrition in the United States, this is invaluable information. I’m glad I got to know him, even so late.